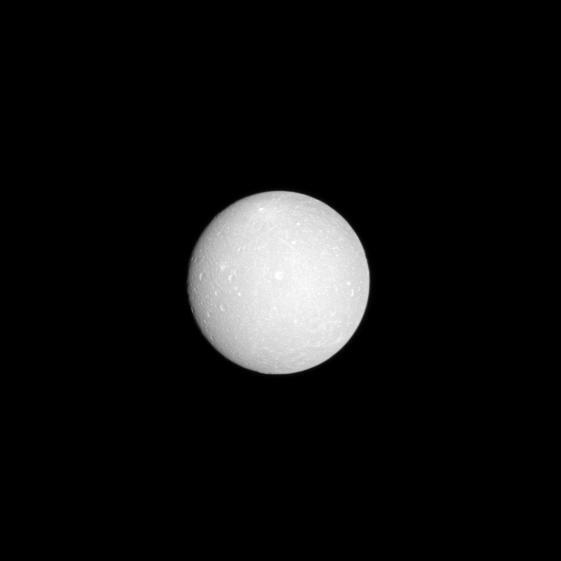 The face of Dione is almost fully lit as the Cassini spacecraft flies in between this moon and the sun with Dione at low phase. With a few hundred pixels of its digital camera, Cassini details dozens of craters a million kilometers away. 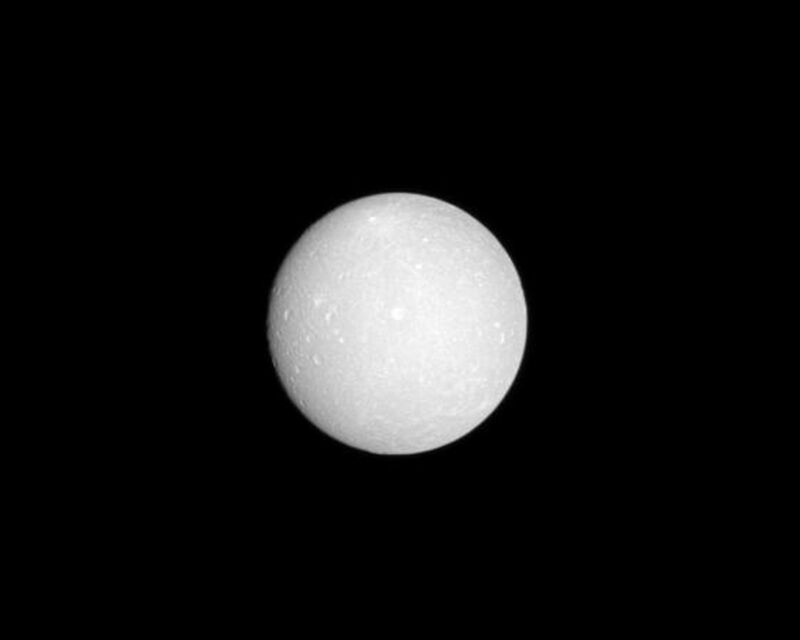 This view was acquired at a distance of approximately 1 million kilometers (620,000 miles) from Dione and at a Sun-Dione-spacecraft, or phase, angle of 9 degrees. Image scale is about 6 kilometers (4 miles) per pixel. 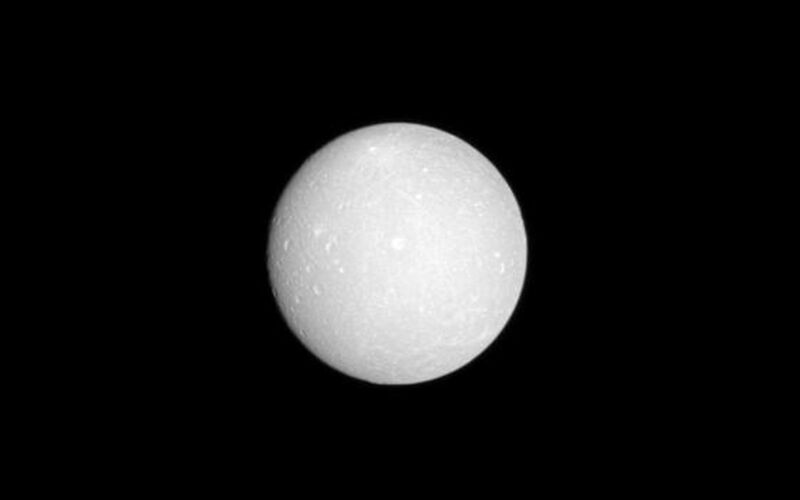 Dione, at 1,123 kilometers (about 698 miles) across, is the fourth largest of Saturn's moons. This view looks toward the trailing hemisphere of Dione. North on Dione is up and rotated 7 degrees to the right. The image was taken in visible light with the Cassini spacecraft narrow-angle camera on Dec. 31, 2008.